Overcoming The Pitfalls of Certifying Non-Willfulness When Applying To The Streamlined Compliance Program | TaxConnections is a where to find leading tax experts and tax resources worldwide. Of the recent changes made to OVDP and the streamlined procedures, none have received as much attention – or created as much debate – as the new rule requiring certification of non-willfulness as a condition for gaining entry. This blog focuses on the requirement of the new streamlined procedures that the failure to report income from a foreign financial asset not be willful. 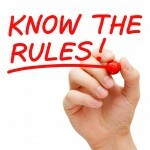 This requirement cuts to the heart of penalty mitigation offered by the new procedures. As a way of background information, in order to qualify for the streamlined compliance procedures, U.S. taxpayers must certify that “the failure to file tax returns, report all income, pay all tax, and submit all required information returns, including FBARs, resulted from non-willful conduct.” There are now two streamlined procedures: (1) the “Streamlined Foreign Offshore Procedures” for U.S. taxpayers residing outside the United States and (2) the “Streamlined Domestic Offshore Procedures” for U.S. taxpayers residing in the United States. Under what circumstances can a taxpayer certify that his failure to report foreign financial assets and pay all taxes due with respect to those assets was not willful? As a preliminary matter, it goes without saying that the taxpayer must know the definition of willful. Only then will he be able to determine whether his conduct was not willful. Unfortunately, willfulness is a loaded term. While it may be easy to define – as an “intentional violation of a known legal duty” – it is not easy to apply when it comes to the myriad of circumstances that exist in the offshore arena. As courts have noted, “willful” is a “chameleon” which changes in tone and color according to the Code section involved and the circumstances. See e.g., former Justice Souter’s opinion in United States v. Marshall, 2014 U.S. App. LEXIS 10415 (1st Cir. 2014). Unfortunately, the IRS’s discussion of willfulness vis-à-vis the new streamlined procedures doesn’t make it any less vague and ambiguous. The only difference is that it approaches the issue from a different direction. Instead of starting with the definition of willfulness and moving to non-willfulness, as in the logical progression, the IRS defines non-willfulness without any predicate. Further complicating matters is the fact that the definition of non-willfulness is cryptic: “Non-willful conduct is conduct that is due to negligence, inadvertence, or mistake or conduct that is the result of a good faith misunderstanding of the requirements of the law.” Of course, one person’s definition of negligence might be another person’s definition of diligence. Therefore, this definition is wholly inadequate. Notably absent is any discussion on the role of willful blindness (or similar formulations, such as deliberate ignorance) and whether it even applies within this new framework. The theory of willful blindness permits the trier of fact to infer willfulness. Instead of proving that the defendant intentionally violated a known legal duty, the government need only show that “the defendant consciously avoided any opportunity to learn what the tax consequences were.” United States v. Bussey, 942 F.2d 1241, 1428 (8th Cir. 1992). In other words, it is a “watered-down” substitute for the burden of proof on what is otherwise the most serious element of a criminal offense – the mens rea element. Because willful blindness is much easier for the government to prove than willfulness, most courts restrict its use. One way to view the path between willfulness and non-willfulness is on a continuum. The facts of some cases will present themselves on either end of the continuum. In those cases, recognizing whether the conduct is willful or non-willful will be as easy as finding a free drink in Las Vegas. What about when the facts lie at points other than at the ends of the continuum? In other words, what if they lie within the gray area between the two poles? Of course, if they are close to either end, that may not pose a problem. But how close must the facts be to either end before one can comfortably make a decision? These are just a few of the steps that one must go through in order to certify that his conduct was not willful. Recognize that these steps only describe the general process – and not the legal framework under which the facts of a particular case must be analyzed. Therefore, this blog is intended only as an aid in understanding the general process – not in helping one decide how to characterize his or her conduct. This is where I make the following disclaimer: taxpayers must tread very carefully. To the extent that your non-willful certification turns out to be a bad judgment call, there are serious consequences. Indeed, if the IRS challenges your certification, all that you have succeeded in doing is exacerbating the very problem that you sought to solve by certifying non-willfulness. That would subject you to the following parade of horribles, any one of which could be a doomsday scenario. In fact, most people would sooner go to the dentist to have six impacted wisdom teeth extracted than have to deal with any one of these consequences. The first and most serious consequence is that you are no longer eligible for OVDP. You heard right. This means that you could be criminally prosecuted for failing to disclose your offshore assets. Second, you could be subject to some hefty penalties, including the willful FBAR penalty and the civil fraud penalty, not to mention open statutes of limitation for income tax purposes. As if that wasn’t bad enough, the act of making the certification by itself could be considered an independent criminal act – perhaps a tax obstruction crime or false statement crime. In fact, that same act could be used to refresh the statute of limitations with respect to previous criminal conduct. With this in mind, you must look yourself in the mirror and be honest with yourself. To the extent that your conduct might be deemed willful, you must swallow your pride and make the obvious choice – apply to OVDP. Thinking that you can somehow “sneak” into the streamlined program without being detected is as foolish as a man with a ski mask who thinks that he will get away with robbing a convenience store even though he is wearing his work uniform with his named stitched across the front. As you may have realized by now, the net effect of this certification process is that the IRS has substituted one process of uncertainty (i.e., that discussed above) for another process of uncertainty – i.e., when to opt out of OVDP and the predicate decision of when to join OVDP – that previously caused such a firestorm. In other words, the seminal issue of willful and non-willful that was at the core of whether to join OVDP and whether to opt out has reared its ugly head again, this time under a new iteration of the streamlined program. However, for those who are non-willful, the IRS has extended an olive branch. Nonresidents can solve their tax and FBAR problems by paying three years of income tax and interest and filing six years of FBARs. Residents can solve their tax and FBAR problems by paying three years of income tax and interest and filing six years of FBARs, coupled with a 5% offshore penalty on their undisclosed foreign bank accounts. One final word of advice. With all the emphasis on eligibility for the streamlined procedures, it is easy to overlook the fact that taxpayers who have a very strong case for non-willfulness – i.e., there are no criminal or civil fraud consequences and the likelihood of a non-willful FBAR penalty being asserted is slim to remote – might want to forego the streamlined procedures option altogether and make a traditional quiet disclosure. If so, they need only file amended or delinquent returns and/or FBARs for the years in question. In the end, that might be the best choice. If you remember nothing else from this blog, remember this: trading off denial for certainty and peace of mind, not to mention a good night’s sleep, makes all the sense in the world.